Weather You Have Lost Your Mitsubishi Car Key and Don't Have a Spare, Your Key Is Broken or No Longer Functions or Simply Need a Spare Key, We Can Help Fast! We Make Keys For Cars On Spot For All Mitsubishi Makes & Models Including, Chip Keys, Fob Keys, Smart Keys and Head Remote Keys. We Fix, Re Key and Replace Mitsubishi Car Locks and Keys and Have Them In Stock, Including Car Door Lock, Trunk and Ignition Switch. 24/7 Mobile Service, Fast & Reliable Auto Locksmith Services In Las Vegas NV and Surrounding Area. Mitsubishi is a group of autonomous Japanese multinational companies covering a range of businesses which share the Mitsubishi brand, trademark, and legacy. The Mitsubishi group of companies form a loose entity, the Mitsubishi Keiretsu, which is often referenced in Japanese and US media and official reports; in general these companies all descend from the zaibatsu of the same name. The top 25 companies are also members of the Mitsubishi Kin'yōkai, or "Friday Club", and meet monthly. 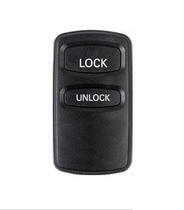 We Provide 24/7 Mitsubishi car locksmith services in Las Vegas NV and surrounding areas. 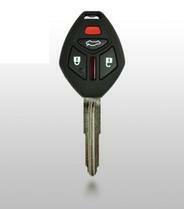 Our Mitsubishi car locks and keys are from the best brands such as: Ilco, Strattec, Jet, JMA, Keyline, Blue Rocket. All of our products and services come with a 90 day warranty. We are here to help if you have lost your Mitsubishi car key, need a duplicate car key, have a bent or broken car key or need programming for your Mitsubishi key. We carry all kind of Mitsubishi keys, including; mechanical keys, transponder keys, fob keys, head remote keys, laser cut keys and remotes control. Lost Your Mitsubishi Car Key? 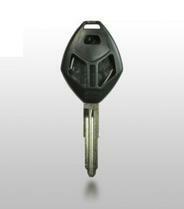 Need Mitsubishi Key Made? Call Us ! We Can Help. 24/7 lost Mitsubishi key replacement, all models Mitsubishi keys made onsite fast, Mitsubishi keys repair and program Mitsubishi chip/ transponder keys. Quick and friendly service. We can fix, replace and install Mitsubishi car locks, including; car door locks, trunk locks and ignition locks. We carry Mitsubishi car locks (car door lock, trunk lock & ignition lock) for all Mitsubishi models and have them in stock. Mitsubishi 3000GT, Mitsubishi Diamante, Mitsubishi Eclipse, Mitsubishi Endeavor, Mitsubishi Expo, Mitsubishi Fuso Truck, Mitsubishi Galant, Mitsubishi Lancer, Mitsubishi Mirage, Mitsubishi Montero, Mitsubishi Outlander, Mitsubishi Precis, Mitsubishi Raider, Mitsubishi Sigma, Mitsubishi Cordia, Mitsubishi Starion, Mitsubishi Tredia, Mitsubishi Van Wagon. 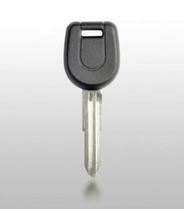 Mitsubishi chip keys made on site, including keys & programming service. 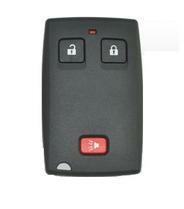 Mitsubishi remotes control and programming Mitsubishi remotes. 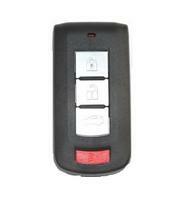 Wide selection of Mitsubishi shell keys and remote shell.